Like new raised ranch in great commuter location and attractive neighborhood setting. Tastefully updated from top to bottom, nothing has been overlooked. Fully updated kitchen with a large extended island, granite counter tops, SS appliances and Brazilian cherry floors. Oversized living room with large bay window overflowing with light, wood burning fireplace and open to Dining room. Three well-proportioned bedrooms with hardwood floors, updated full bath and fully updated master bath finish off the main living level. The lower level offers a second fireplace, playroom/home office, fourth bedroom, mud room, laundry room and half bath. Brand new landscaping and patio. Newer roof, septic, furnace, stone patio, lush landscaping and security system. 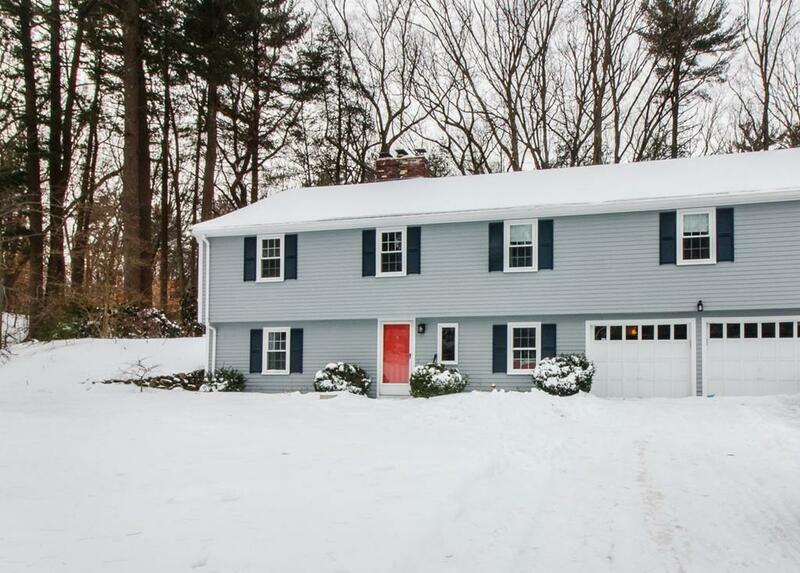 Wayland offers a great commuter location and #3 Schools in all of MA.